As previously reported, I’ll be appearing at this coming Saturday’s London Film and Comicon at Earl’s Court (1st of September). A couple of quick updates to previous posts: first, Andrew Wildman will be joining myself, Geoff Senior, Steve White and, er, Bumblebee at the dedicated Transformers signing (which is largely, though by no means exclusively, TF-UK centric). And secondly, the signing itself will take place from 11AM-1PM (and possibly longer, if there’s enough traffic). Other than that, I’ll be around and about for the rest of the day, and probably in some local bar afterwards. So, if you can, come along and meet and greet. Geoff will have exclusive art prints for sale and I’ll be lugging around with me copies of the script for TF-UK #1 (and maybe Marvel US #80!). Don’t miss out. For more details on the LF&C check out their site here. Just a quick reminder that Transformers Spotlight: Optimus Prime hits stores this week, Sept 29th in the US and (due to the bank holiday) 31st in the UK. For those of you enjoying the ongoing Infiltration/Escalation/Devastation storyline, this is pretty much essential reading. Apart from more, er, revelations about the mysterious first Ark and its ‘Prime,’ seeds are sown that will start to pay off at the end of Devastation and then in the post-Revelation chapter of the ongoing. For those of you who’ve been clamouring for the first IDW-verse appearance of a certain ‘breed’ of Transformer, you need look no further than this very issue. Oh, and in terms of the proverbial cherry on the cake, it’s drawn by TF artist supremo Don Figueroa! Check out his ultra-cool cover art by clicking on the thumbnail below. This will (by necessity) have to be one of THE most obtuse and teasing script (w)raps I’ve done so far, largely because it’s for issue #4 (of four) of Beast Wars: The Ascending. 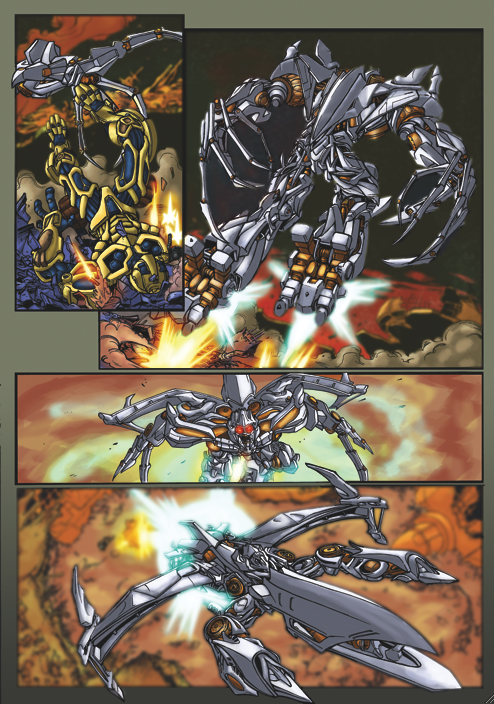 My good friend Ben Yee, who read the script and often advises me on all things Beast Wars (simply because he’s arguably THE authority on the series), compared the bodycount favourably to Marvel’s Generation 2 comic, so that gives you an idea that this series is set to end on a less than happy note (in some ways at least). Anyhow, what can I tell you? Well, apart from the fact that several characters meet sticky ends (and this is in no way limited or exclusive to minor characters), the main villain of the piece (by now, thanks to preview images of interior art for #1 and the cover for #4 having hit the web elsewhere, it’s pretty much general knowledge that ‘the nemesis’ I’ve carefully been referring to is Shokaract) makes his grand power play, unaware that he is the pawn of a far greater evil, and Magmatron (still consigned, for now, to a temporal limbo) puts a desperate plan to stop him into all-out action. Big Convoy and Lio Convoy fight side-by-side on Cybertron, Razorbeast takes on Rartorata, Drancron and Elephorca alone (for now) and Ravage fights dirty (as always). Oh, and there’s even a tie-in to the end of the Beast Wars TV series. This one really is cover-to-cover action, with far-reaching events unfolding on both Earth and Cybertron, and it sets up… well, that’d be telling. Beast Wars The Ascending #4 hits in November. For more details and previews of all IDW’s Transformers titles check their website here. Just a quick reminder that issue #2 of Terminator 2 – Infinity (script by me, art by Nigel Raynor) comes out this week (Wednesday 22nd in the US, Thursday 23rd in the UK). The story follows John Connor post-Judgment Day and his first (stumbling) steps on the way to becoming leader of the human resistance movement, by way of an all-new, all-deadly Terminator known as the T-Infinity. Check out Nigel’s cover and one interior page by clicking on the thumbnails below. Well, I promised you an update on the Cougar front, and what better way to do it than with a disgression on my script for issue #1. For those of you who don’t have a clue who Cougar is, and therefore clearly haven’t trawled through my archived posts, he’s a robotic adventurer who began life as the mascot for the TFAuctions website, and has since gathered a supporting cast and is now on the verge of his very own comic book series. For some teaser images, check out Cougar’s dedicated website here. Right, the script fror issue #1. Big question for me was: what differentiates Cougar from certain, um, other robots with the ability to swap from upright bipedal to vehicular form? Well, Cougar’s very much more in the adventurer/explorer/daredevil mould than a warrior (though, as we discover in issue #1, that wasn’t always the case!!) and he’s a lone wolf, actively discouraging sidekicks and the like (more of that in issue #2). 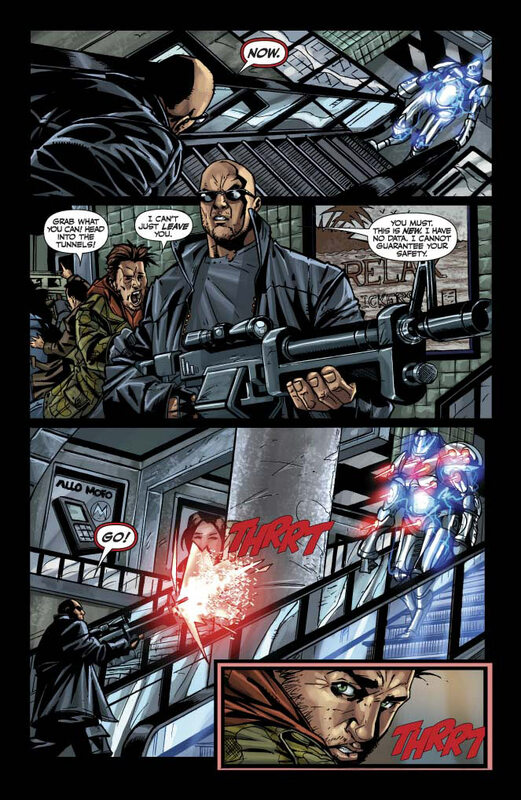 He spends much of issue #1, despite some severe provocation, finding ways to avoid a full on firefight, relying more on guile and misdirection and general artifice and less on trading shots with the locals. He’s all about the payoff, be it a rare artefact or a long-buried secret or some valuable salvage, and he kind of specializes in extracting said items from the most dangerous, inclement and plainly inhospitable bits of the universe. He’s pretty mercenary in his attitude, but, as he expresses in the first issue, he “either gets out clean or doesn’t get out at all.” In issue #1, after one opening foray into the unknown (which is kind of linked to what comes next), Cougar goes in search of a semi-mythical battle helmet, but there’s much more to it than… no, wait, it’s not what it seems, and Cougar’s torrid past comes rushing up to say ‘hi.’ We also meet Cougar’s main ‘big bad’ in the shape of Fenrir (albeit briefly), get a look in at Cougar’s hidden base on Earth (and meet shapeshifting ‘Sid’) and check out Cougar’s somewhat unpredictable spacegoing vessel. Oh, and we’ve got a very talented newcomer onboard for the art duties, whose stuff is just going to blow you away (very excited about what we’ve seen so far). More on him (and his pages) in future blog entries. We’re looking right now at a late 07 or early 08 launch. Keep checking back here for further updates as stuff gets nailed down. Check out Ain’t It Cool news for an interview with myself, Geoff Senior and Steve White on… you guessed it, Titan’s Transformers comic/magazine. Lots of, er, cool new stuff to peruse and pontificate on. 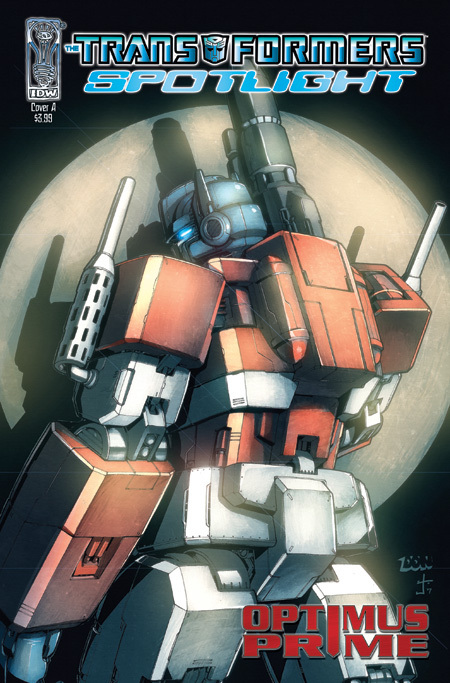 Just a quick reminder that issue #2 of Titan’s superlative Transformers (UK) comic/magazine is out this week. It comes with an all-new (movie-continuity) Megatron story by myself and artist Nick Roche (click on the thumbnail below for a sample page of Nick’s work on the strip), character profiles & smackdown head-to-head features (also penned by me) and FREE tattoos. Does it get much better than this? 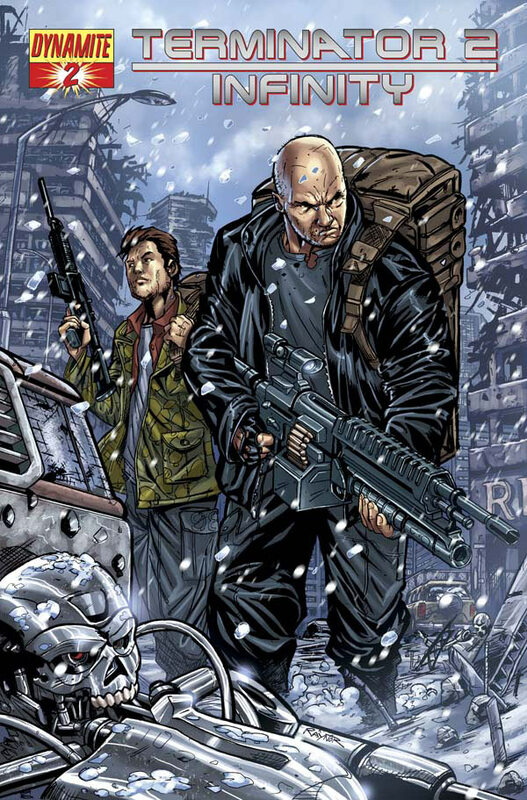 You are currently browsing the simon furman blog archives for August, 2007.